This post is sponsored by Silk’n SensEpil. When I first received the Silk’n SensEpil laser hair removal device, I had a little hesitancy about using it. As a women who doesn’t really mind shaving, I wasn’t interested in embarking on a new technological adventure. I just wanted to stay in my little shick and bic disposable world. After all, I had been shaving my legs for 20+ years and never had a problem with it. It was so easy to use the Silk’n SensEpil laser hair removal device. You put in on the area you want to treat, and hit the button. A light flashes, a quick pulse of heat touches the surface of the area and bam…it’s done. It’s virtually painless. It did take some getting used to the heat but it goes away before you can even really register that it happened. A full leg takes about 15 minutes. At first, I thought it would be inconvenient to use this but considering that most of my morning is spent shaving my legs and underarms, this is definitely worth the time it will save me in the long run. And, the cost is so reasonable, at$499.00, it not only beats the spa treatments by a large margin but razor blades can add up pretty quickly too. Once I got past the fact that I had to learn a new technology (which was nothing to worry about), I was excited about the experience. More time, less money and smooth legs. There’s really no reason not to use it, buy it and love it. 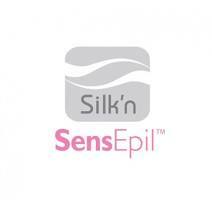 From September 1st through December 31st, 2011 you can receive an extra 20% off your purchase of Silk’n SensEpil products ($200 minimum purchase required). To redeem this offer use this code: “Beauty20.” Don’t miss out on this great opportunity for rapid, beautiful, hairless results. When we first posted about Silk’n SensEpil, the company offered to give one lucky winner a chance to win the home device. All you had to do was submit your very own humorous or horrific hair removal story. The contest ended on September 23 at 12:00 p.m., and we had a great story come in from Melissa Cabellero. Melissa, who was sick and tired of waxing her boyfriend’s back was struggling for an easier solution when she heard about our contest. Well, Melissa….your wish was granted. Congratulations!